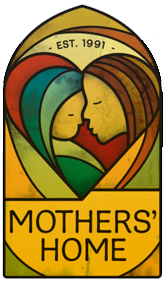 Mothers’ Home is a 501 (c)(3) non-profit organization and a United Way Donor Choice Agency (ID # 7357). We have appreciated the long-term support of many wonderful volunteers and organizations. We have a team of committed individuals that supported Mothers’ Home for years with their time and talent. We are proud to have professionals that give from their hearts. Use our contact form to send us any questions, comments or concerns related to Mothers’ Home. Someone from our team will reply to you within 24-48 hours. We look forward to hearing from you!